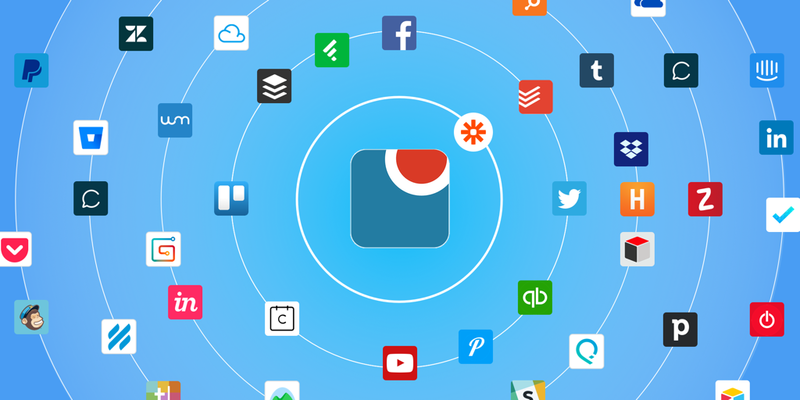 Originally Published: July 16, 2016 when Zapier had 500+ Applications! We began planning our public API implementation in late 2015. We had numerous requests for full Read/Write API access to the data model and were responding to stated customer needs. By early 2016 we had the first version of the API tested and preview-ready. But an interesting thing happened -- we started hearing that people wanted a "simplicity layer" on top of the programmer-level API. What form would that take, exactly? Well boy howdy, were we ever glad to find Zapier! Here's the thing, Zapier provides a "point solution"-oriented approach that addresses specific needs that real people in the real word have identified—needs that were outside our direct experience. The core trigger-action model implemented by Zapier is super easy for non-technical users, and the promise of building a simplicity layer was compelling and real. With Zapier's codeless integrations ("Zaps"), extending Lucid Meetings with workflow automation became easy as pie. Hey, Mom! Gartner says we’re officially Cool! Recently I was telling my mom about a problem I had at work – about how hard it was to take a process designed for use in large conference rooms by expert facilitators and make it work well for business people running meetings online. She didn’t say much, so finally I paused. "I don’t know, does that even make sense?" I asked. "Oh yes," she said. "But it’s just not very interesting." While the honesty sometimes stings, I know it’s true. Geeking out over how to blend the best ideas from meeting science, theory and practice into a meaningful software platform rarely makes for scintillating conversation. Which is one of the many reasons we’re all so thrilled to share the news. 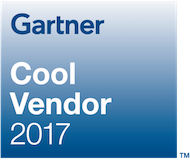 The fine analysts at Gartner selected Lucid Meetings as a 2017 Cool Vendor in the Unified Communications category. If you are a Lucid Meetings customer, we would be grateful if you would visit the Gartner Peer Insights forum and provide a review of the experience you've had using our meeting management platform. As you know, Gartner is one of the most well-respected analyst firms in the world, and they continuously strive to help organizations make better-informed decisions about technologies, products, and business strategies. By reviewing Lucid Meetings on the Peer Insights forum, your feedback will help other decision-makers choose a potential meeting management provider and help us continue to enhance our product. 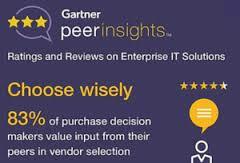 You can access the page via this Gartner-customized link: http://gtnr.it/2jALblV. For your convenience, basic details about Lucid Meetings will be pre-populated into your survey. In October 2016, Constellation Research published their ShortListTM for Meeting Management Tools. Since then, two companies on the list have been acquired. WorkLife was acquired by Cisco, and their product is now a free tool called Cisco Spark Meeting Notes. Those already using WorkLife before the merger were invited to come along for the ride. Do (do.com) was acquired by forces unknown, and recently announced that the service would shut down February 24th, 2017 while they work through the transition. If or when or in what form the service will re-emerge remains a mystery. If you’ve come to rely on either of these products to help you run better meetings, and especially if you use Do, you may have come to Lucid looking for an alternative. Is Lucid right for you? Maybe, maybe not! Today I’ll go over what Do users can expect from a switch to Lucid, including what’s different and what’s the same, so you can determine whether you should start a Lucid trial. WorkLife is similar in many ways to Do, so WorkLife users should find this comparison useful too. Then at the end, I’ll share some links to a few other meeting management platforms you might want to check into as well. How do you go about scheduling a new meeting with a group of people? David Coleman writes about his research into more than 200 meeting scheduling tools in this August, 2016 CMS Wire article, Smarter Meeting Planning Tools Try to Save You the Headache. One of the biggest hassles with meetings is actually setting the meeting up, with multiple emails flooding inboxes deciding who could meet, what the meeting is about, and forget about trying to pin down one time when everyone can attend. The ordering of that list can be viewed as the evolutionary order of technical solutions to the scheduling problem, with the Smart Meeting Tools section capturing the current AI and Bot zeitgeist. There are quite a few good recommendations in each category, and I think there are some interesting capabilities on the horizon in the smart tools area. Read the full post to get a full sense of David's insight into the scheduling challenge. The article also talks about Lucid Meetings and our alternative approach based on a holistic view of effective meetings from a complete scheduling, execution, and results orientation. Let’s start with a brief history . . . Dawn of Time: Cavemen gather to plan their hunts. Details are painted on walls of caves. Best practices are non-existent, but the species survives. 1560s: Sir Thomas Smyth begins writing down the accepted practices for meetings in England’s House of Commons. “Parliamentary procedures” are now codified, and best practices become set in stone (or really thick books). 1876: U.S. Army Major Henry M. Robert publishes a book entitled Pocket Manual of Rules of Order for Deliberative Assemblies, which is wisely shortened to Robert’s Rules of Order (now in its 11th edition). Robert’s approach follows parliamentary procedures, with some modernization in newer editions. The past 50 years: A growing collection of books attempt to define a less rigid approach for business meetings, while providing guidance on best practices. The past 10 years: Thousands of blog posts every year on how to have better meetings — or how to avoid them. There are common themes about best practices, but clearly the message isn’t getting through, because each year brings thousands of new blog posts. 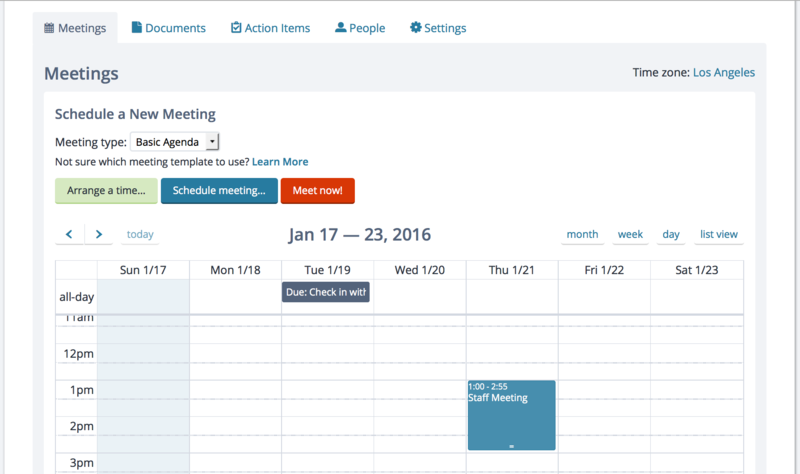 My ice storm-induced, "bonus" project during the 2015 end-of-year holiday break was focused on improvements to the Lucid Meetings visual event calendar. While we've had our visual calendar display for a couple years now, I always intended the calendar to be more fully interactive for people who prefer calendar-style interactions with our meeting platform. With a little time on my hands, it was finally time to tackle this project! Earlier this month, we hosted a series of webinars covering different parts of the Lucid Meetings platform. 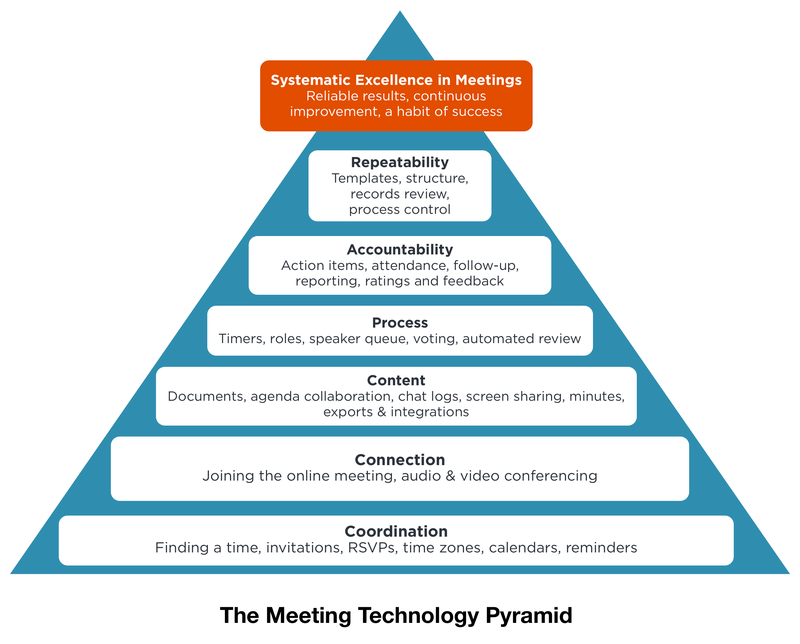 At the beginning of each webinar, we showed this pyramid that arranges the platform features into a sort of Maslow’s hierarchy of meeting essentials. If you’re not familiar with Maslow’s theory, it can be summarized like this: before anyone can worry about advancing science, mastering the piano, or discovering their special purpose, they must take care of their basic safety and physical needs. They have to keep warm, to eat, and to sleep in a safe place. You can think of the technology required to organize and run effective meetings in the same way. Every meeting has some basic features you need to support, like finding a time and setting up a call. Then, as the group starts to perform at a higher level, they need support for collaborating on the agenda and managing the meeting process. Finally, groups with a fully mature approach to running effective meetings need a way to collect feedback, monitor, and optimize their meeting processes. Lucid Meeting’s goal is to make it easy for everyone in an organization to run consistently worthwhile meetings, whether those be simple ad-hoc meetings or more involved sessions, and the platform includes technology to support those meetings at every level of the pyramid. To keep each session reasonably short, we focused each one on a few key features, starting with the basics and moving our way up. Get the key tips minus all the commentary in the PDF version of this guide. The Goal: Get as close to in-person quality as reasonably possible. ReadyTalk says that "The number 1 enemy of online conferences is poor audio quality", and I agree with that. When we first released Lucid Meetings, we didn't include support for audio or video conferencing. We figured everyone already had something they used - WebEx most often, or maybe a Freeconferencecall.com number - so we didn't need to worry about that part and could just focus on helping people organize their agendas and capture minutes. But time after time, we'd get support complaints from people who had trouble running a meeting because the audio failed, begging us to please add audio to Lucid so they could cancel their existing service. Without easier audio, they couldn't run successful online meetings. 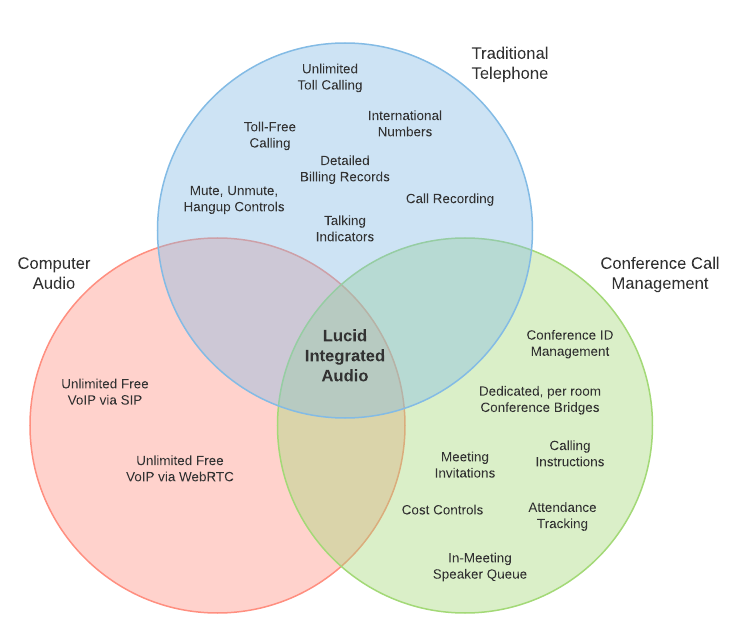 So, we began integrating audio conferencing into Lucid. We started with a simple web-only audio feature, but soon found it too limiting. Next, we integrated a full-on conferencing service: toll dialing, toll-free numbers, call recording, international, the works. Pretty soon we were running meetings that really needed video. We added integrations with Skype, Google Hangouts, and appear.in. Then, our big clients with expensive contracts through Adigo, Verizon and InterCall demanded we support their private conferencing in our meetings, and we added ways to set up custom audio profiles. Every time we set up a new way to run audio or video conferencing, we'd test it and run into problems. Every time. How do I create a shared meeting experience when people are not in the same room? How do I run meetings that consistently get results and favorable reviews? How do I manage all the audio, video, and screensharing technology needed for online meetings? We write regularly about "meeting best practices" that address the first two points, focusing quite a bit on soft skills and organizational methodology. In this post we're taking a different tack by looking deeply at one of the technology issues in point three: managing the conference calling requirements for online meetings.